Easter is a great time to look at and increase awareness of the Bilby. 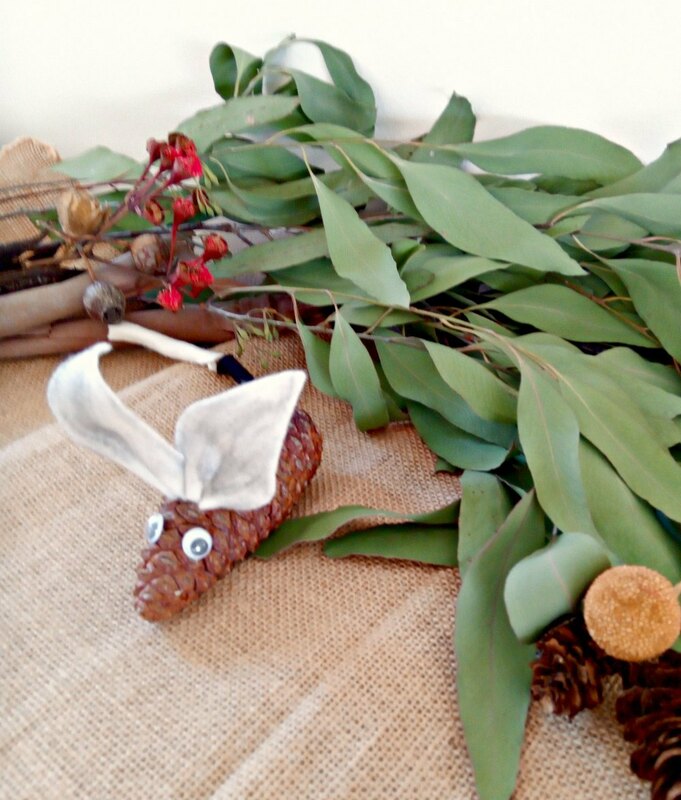 Bilbies are one of our favourite Australian native animals. With their long pinkish-coloured ears and silky, blue-grey fur, the Bilby has become Australia’s version of the Easter Bunny. Unlike the rabbit, Bilby numbers are falling rapidly. Once found across 70% of Australia and believed to have inhabited our country for over 15 million years, the Bilby is now listed as vulnerable with fewer than 10,000 remaining. 1. The bilby is a rabbit-sized marsupial which is nocturnal – active only at night. 2. It is thought that there may be fewer than 10,000 bilbies left in the wild, and this number is decreasing. 3. The scientific name for the greater bilby is Macrotis lagotis. Macrotis means ‘big-eared’ in Greek. 4. The word ‘bilby’ comes from an Aboriginal word used by the Yuwaalaraay people, and means ‘long nosed rat’. 5. A female bilby’s pouch opens downwards to prevent earth from entering while digging. 1. 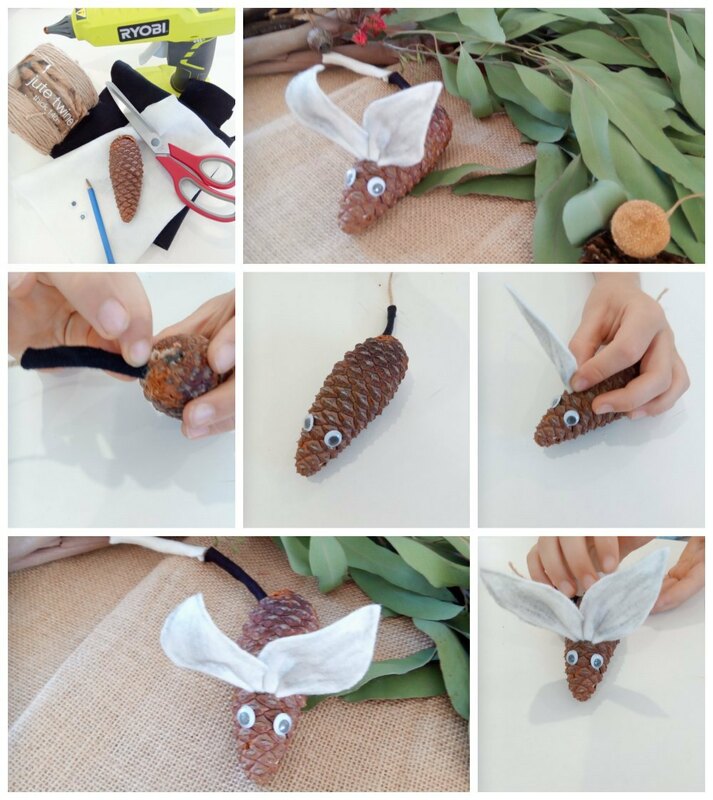 Your pine cone is your Bilby body and face. 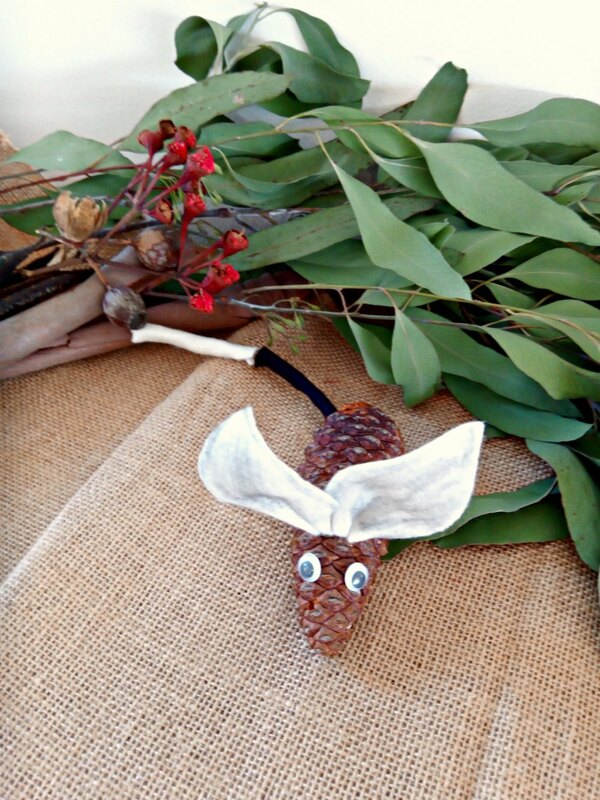 Try to find long pine cone that hasn’t opened yet so you have the long nose of a Bilby. 2. Cut a length of string for a long tail, ours is about 10 cm long. Then a piece of black felt that is about ¾ in length of your tail. Wrap and glue the black felt to the string. 3. Then glue the black felt end to the wide end of your pine cone. He now has a tail. 4. Then we glued his eyes on. Leaving him a long nose. 5. Next we used the white felt to give him some big ears. We drew the ears on the felt with pencil and cut them out then we used the lead pencil here to shade onto the white felt to make them a bit more grey and give them some texture. Glue on your Bilby’s ears. 6. Finally we added some white felt to the end of the tail like we did with the black felt. Use the pencil to give it a little texture. Your Bilby is ready to be loved. « STEM Kids Can Be Inspired to Read Too!